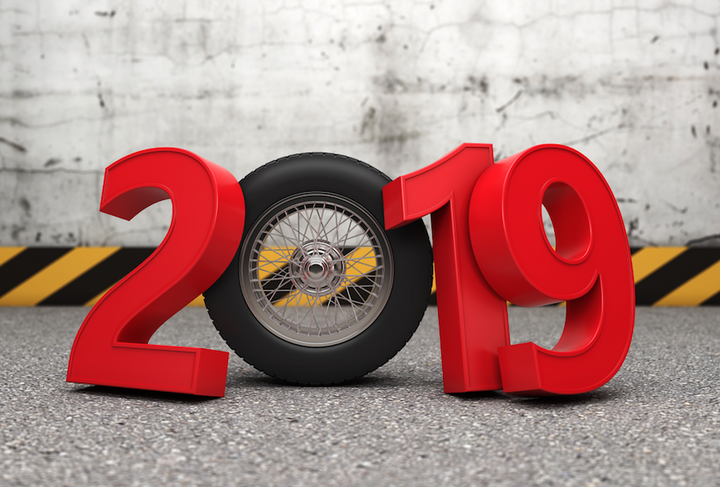 Agents enter 2019 with new concerns about the economy, the automotive industry, and those who regulate it. Agent Entrepreneur reached out to 22 leading industry members to ask their predictions for the year ahead and what agents can do to prepare. Against all odds (and most forecasts), heading into December, 2018 U.S. new-vehicle sales were expected to reach the 17 million-unit mark for the fourth consecutive year. Dealers and agents have benefited from a long, slow, steady recovery since 2009, when Americans bought 10.4 million new vehicles, a 26-year low. John Pappanastos doesn’t anticipate the U.S. economy slipping into a recession in 2019, but did note there are some “cautionary components” agents should be aware of. Doug Frey, EasyCare’s executive vice president of new agency development, mergers, and acquisitions, anticipates a slowdown that will lead to a 2% to 3% decline in sales. Reahard anticipates flat or slightly increased new-vehicle sales in 2019, citing low gas prices and unemployment as driving factors, but cautioned that demand will be negatively impacted by higher interest rates. 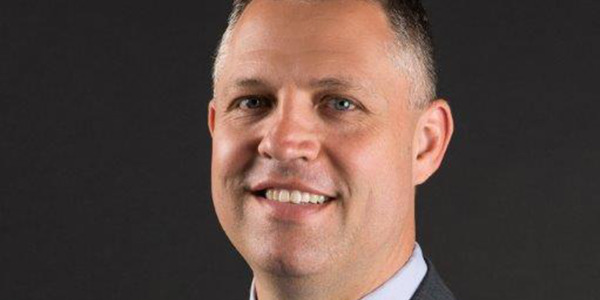 Tim Blochowiak, vice president of dealer sales for Protective Asset Protection, pointed to margin compression, record numbers of off-lease units, and continued dealer consolidation as pressure points. “At the moment, most economic indicators and economists are predicting a slightly better year. Regardless of what occurs, as an industry, we’ve been through good and bad times. We have learned to adapt to the changing environment in order to be successful regardless of what occurs,” said ECP Inc. Director Brian Feldman. Brian Crisorio, vice president of United Development Systems, said the automotive industry will continue to thrive for as long as the fundamentals of the U.S. economy remain strong. He expressed cautious optimism in the face of industry disruptors and other headwinds. 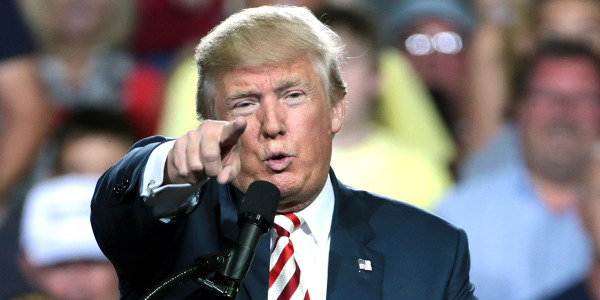 A “flourishing” economy has been propelled further under the watch of President Donald Trump, noted Jeremy Lindsey, president of Alpha Warranty Services, including the “slashing” of corporate and personal income taxes. Thomas Hackett, Allstate Dealer Services’ national sales and training director, said that, “Barring any shocks, I anticipate continued growth, albeit at a slower pace than the past few quarters. The stimulating impact of tax reform will begin to wear off, oil prices may move higher and inflationary pressures from growing wages could start to negatively impact corporate earnings. “These create headwinds that, while probably not enough to tip the economy into a recession, could limit growth,” Hackett added. Brent Griggs, president and CEO of Portfolio, said he expects the fundamentals of the U.S. economy to remain strong throughout 2019, including near-zero unemployment, low borrowing costs relative to historic levels, and inflation held in check by the Fed’s moderate interest rate hikes. “However, despite the overall strength of the economy, I expect automotive industry sales to decline in 2019 in the face of higher interest rates, higher new-car prices driven by increasing commodity costs — partially attributable to new tariffs — and the addition of expensive technology to new cars,” Griggs warned. “The mix between cars and trucks is a trend we should watch. I think gas prices will remain stable or slightly decrease in 2019, which will increase the number of truck sales and continue to decrease the number of car sales,” said John Lutman, vice president and head of the agency channel at IAS. Lutman predicted dealers will redouble their efforts to improve finance and service revenue as sales taper off. Robert Steenbergh, founder and CEO of US Equity Advantage/AutoPayPlus, predicted a decrease in new-vehicle sales as rising interest rates push more car buyers toward the used-car lot. ECP’s Feldman predicted further consolidation among F&I administrators, agencies, and dealerships in 2019. His sentiment was echoed by Mackie Hughes, a division president at Simoniz USA, and AUL’s Atkinson. “We continue to monitor agent consolidation and large agent formation,” said Hughes. “Consolidation across all aspects of the industry continues to gain momentum. 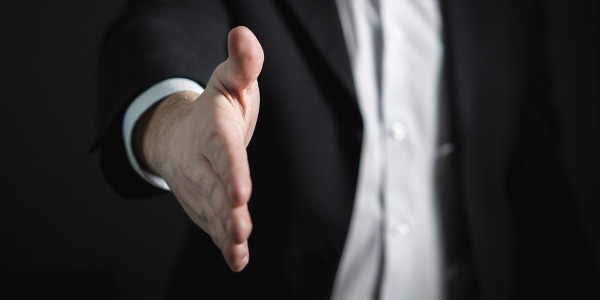 Dealers, agencies, administrators, and insurance underwriters continue to have a frothy acquisition market with extremely high valuations,” said Atkinson. One component of a dealership or agency’s value is its reinsurance program, and Atkinson said the Trump administration’s sweeping tax reform package will necessarily affect selection. Atkinson also raised the specter of new and unsettling moves made at the factory level. This year, General Motors launched a factory extended warranty program that unnerved dealers within and outside the GM family. “GM’s attempt to circumvent the Magnuson-Moss Act, with their ‘selling’ of a longer -term factory warranty by increasing the price of a car, is interesting. I think it will go away either by dealer resistance or the FTC,” Atkinson said. Allen of StoneEagle concurred, predicting that enhanced F&I product education could improve production. “Digital retailing” is no longer a buzzword, said Protective’s Blochowiak, and as dealers continue to rely on F&I as a profit center and F&I products as customer retention drivers, the value of the partnerships agents strike on their behalf will face greater scrutiny. Asked which F&I products will dominate in 2019, Jennifer Holcomb said the power of a service contract can never be discounted. “It isn’t the No. 2 seller in most dealerships year-over-year without being a proven product that consumers rely upon,” said Holcomb, vice president of operations at Norman & Company. “I think that the leasing market is going to stay strong and finally some products are going to break through that barrier, as the leasing side ofF&I has traditionally been a weak point at any dealership. “We will continue to see vehicle service contracts trending upward as vehicles became increasingly expensive to repair, thanks in large part to technology,” Crisorio said. “The other two products that seem to be gaining steam are maintenance programs and limited warranty offerings. While not new, it is clear that dealers today are searching for ways to both gain an edge in the showroom, which a well-structured limited warranty can do, and increase customer loyalty, which a planned maintenance program can do. “We have all been riding the wave of a hot market for many years, but as the beach gets closer and the wave begins to break, dealers will have to get creative to maintain sales momentum, and those F&I products can play an important role,” Crisorio added. Atkinson said the combination of F&I income and customer-retention benefits they generate will maintain the service contract’s position as the department leader. Reahard said he also keeps a close eye on diminished value protection, a relatively new F&I product type that is catching on among many dealers and agents. “There is no doubt that, if a vehicle has been in an accident, it greatly diminishes its value. Dealers, customers, and insurance companies all know this. This may become a big seller in the F&I office as a standalone product or part of an enhanced GAP coverage. Or it may just become optional coverage available in connection with the customer’s insurance policy,” Reahard said. When a vehicle is involved in a collision and then repaired, Croak explained, multiple reporting systems will expose the previous damage and repair to the dealer at the time of trade-in, resulting in a lower offer. “Diminished value protection covers that loss for the consumer and enables the dealer to provide a better value on the sale of a new vehicle. Third, although we see an increase in lender acceptance of the diminished value protection product, there are similar hurdles that we experienced with GAP at its inception. Just like GAP, however, we believe the diminished value protection product will be a staple on the F&I menu,” Croak said. 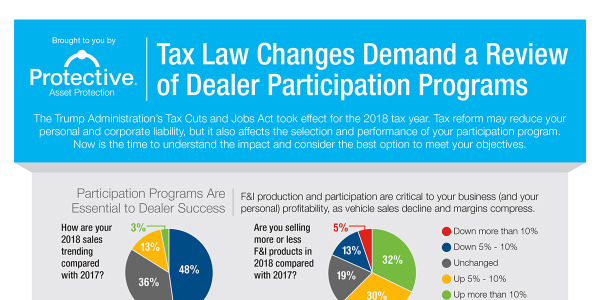 Feldman anticipates dealers will push for higher penetration rates on all F&I products in 2019. “With front-end margins almost nonexistent, I believe we will see continued growth in high-margin products that generate profits such as paint and interior programs and other products that are not subject to chargeback,” Feldman added. That push could lead to improved sales of prepaid maintenance as well, Pappanastos added. But he cautioned that low, at- or near-cost pricing would be critical to protecting more customers and realizing greater long-term gains. He also noted that the same trends affecting dealers and agents are coming to the fore in the P&A segment. The rapidly evolving F&I office was top-of-mind for our experts heading into the new year. The consensus is that, in an industry that runs on a number of disparate systems trading an infinite number of datasets, change is not only inevitable but welcome. 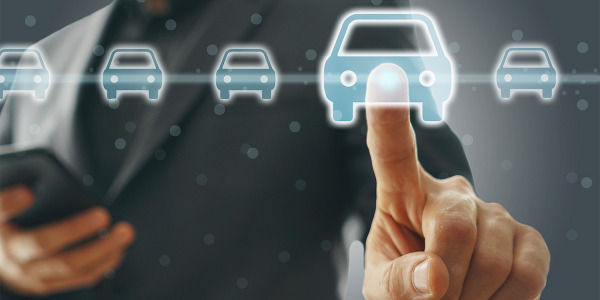 AGWS’s Anderson said evolving technology will touch every part of the transaction and cautioned agents and dealers not to downplay the role of social media and other information-sharing platforms in determining where consumers buy and service their vehicles. Hughes noted that econtracting — particularly solutions designed to streamline the F&I paperwork process — will continue to be a “hot topic” in 2019. Hackett of Allstate Dealer Services said time and efficiency would be the focus of new F&I technology. “The time that the consumer is waiting to get into F&I is one of the biggest negative impacts on profitability. As tablet-based F&I presentations become more consistent, menu providers will be able to track and monitor the timing aspect of F&I closer and on a larger scale. Being able to complete a time study and generate an analysis of the profit impact caused by time could significantly impact the industry as a whole,” Hackett said. In the meantime, Blochowiak advised agents to steer the technology conversation toward its intended benefits — including an earlier introduction to F&I products, which dealers can do themselves. Holcomb noted that Norman & Co. is one of many companies to add online claims processing in recent years, a trend she expects to continue in 2019. “We realized that a claims portal helps to expedite the claim process so the customer can upload their documents directly to our portal and we are notified when new documents arrive. It can immensely speed up the claims process as customers are getting up-to-the-minute updates on what is still needed and how their claim is progressing,” Holcomb said. Frey warned that falling penetration rates could result if technology is allowed to take over the F&I process completely. Without an F&I professional to guide them, few customers will spend the same amount of time researching protection products as they do the vehicle itself. Frey predicted no “major” regulatory changes pertaining to the F&I trade, but does anticipate a greater emphasis on workplace compliance, including sexual harassment. “As far as sales compliance, we still need stronger regulation with the direct marketing companies that illegally obtain customer lists,” Frey said, adding that, in 2019, “most” direct marketers will utilize deceptive practices. “The Service Contract Industry Council has done a good job educating consumers of the issues related to these companies. 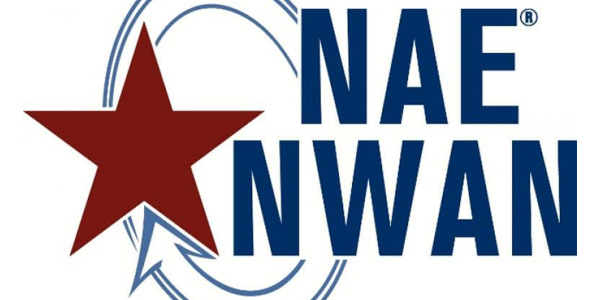 The agents and dealers need to educate their customers at the time of vehicle purchase that, unless the customer is contacted by the dealer, to be wary of these companies,” Frey said. Like Frey, Hackett sees no “significant, broad-based” regulatory changes hitting F&I in 2019, owing partly to the nature of the business. Holcomb believes the “era of overcompliance” will continue, whether by federal agencies or state-level regulators. 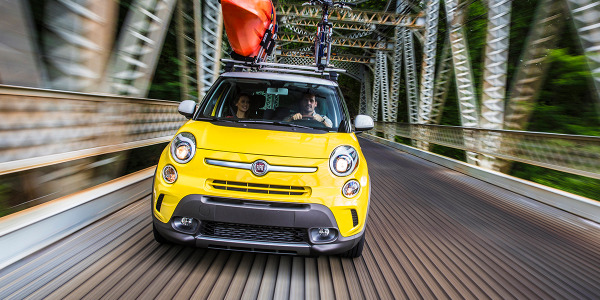 Vehicle subscription programs offered by factories and third-party services offer an attractive alternative to ownership: Every expense but fuel is covered by a flat monthly fee, and if you don’t like the car you picked, you can swap it for another one. A year ago, the sub model was the next big thing. Since then, The Book by Cadillac has been canceled (or suspended, depending on the source) and Care by Volvo has been labeled a payment-packing scheme, among other charges, by the California New Car Dealers Association. Will subscriptions ever outpace or replace purchases and traditional leases, and if so, how will they affect F&I production? Steenbergh pointed out that month-to-month service contracts have already come to market and predicted they will proliferate in 2019. He described the subscription model as portending a “sea change” for F&I, not too mention “incredibly difficult” actuarial analyses of coverage and pricing for product providers. Croak pointed out that the subscription concept is “still finding its way” and remains in search of a “workable structure.” Lutman said subscriptions are likely to become more popular in 2019 and pointed out that every vehicle needs protection against mechanical breakdowns and cosmetic damage, no matter who holds the title. Among the skeptics is Griggs, who predicted the impact of the subscription economy on the sale of F&I products will be “close to zero” in 2019. “Even in the most optimistic forecasts, subscription selling will make a very small dent in traditional sale of automobiles. The misguided notion that consumers are becoming disinterested in owning their vehicles will be exposed as fiction and further slow the adoption of subscription selling,” Griggs said. Zanan suggested agents work with dealers to create in-house programs. “As long as products can show value to the customer, deliver profits to the dealers, and can be financed in with the transaction or subscription, F&I will continue to produce product sales regardless of the ownership or vehicle operational structure,” said Nelson. Hackett said the appeal of sub programs to “defined population segments,” including millennials, can’t be discounted. 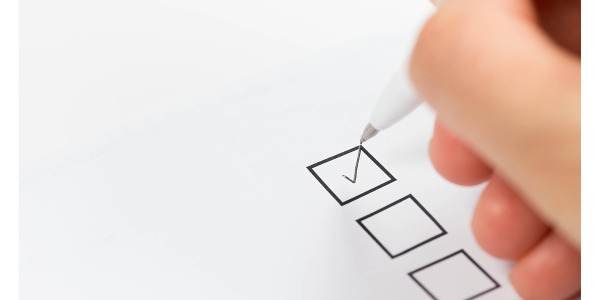 If their popularity does grow, the model will have a “noticeable” impact on the F&I process. LaMotta described the trend toward subscriptions as “something to watch” and “definitely a threat” to F&I. Asked to offer a bold prediction for 2019, Allen pivoted to autonomous vehicle technology, which took a leap forward with the December launch of Waymo’s self-driving taxi service in the Phoenix metro area. As Allen pointed out, mass-market driverless cars are essentially already upon us. Frey suggested the F&I industry will have to get more innovative in 2019 as automotive technology continues to advance. Successful agents and dealers turn adversity into opportunities, Reahard said, and there will be no shortage of adversity in the new year. “Further consolidation of dealers, manufacturers, and F&I product providers will continue. Companies and dealers that are focused on adding real customer value and helping improve the customer experience will prosper. Those who do not, will not,” Reahard said. Holcomb predicted that compliance concerns will convince more administrators to put pressure on dealers to speed the adoption of econtracting, be it through admin portals, the DMS, or the menu. “It is too difficult to keep up with all the contract changes via print. A good percentage of dealers have gone to the online model but there are still some that prefer to print and remit but the compliance landscape is going to force that issue online so contract changes can be seamless,” Holcomb said. 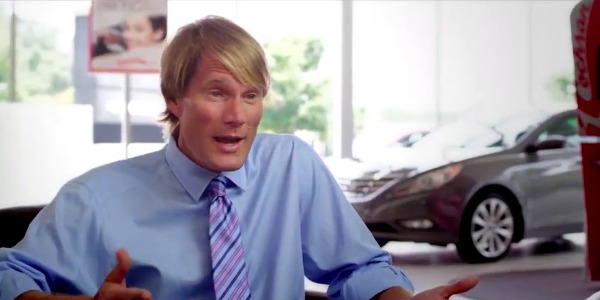 Duncan predicted that off-lease volume and value-conscious car buyers will benefit certified pre-owned sales. Zanan suggested that, if that is the case, dealers need to secure and enhance their used-car operations. Pappanastos predicted that, with so many factors outside the agent’s and dealer’s control — including national politics and global trade — 2019 should be spent focusing on the dealership itself. His checklist includes more training, enhanced customer-retention measures, and breaking down the barriers between sales, F&I, and service. “Each day in our industry brings a fresh, new adventure: new models, new products, new technology, new trade-ins to recondition and resell,” Pappanastos said. “It means finding financing for that first-time buyer, building new relationships, strengthening existing ones, and developing a winning team. It means facing new challenges, seizing new opportunities, and the possibility of even greater rewards.